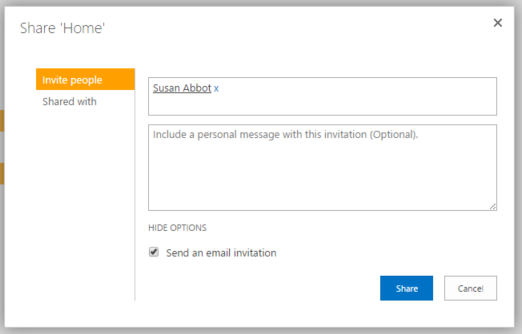 What is a SharePoint group? A SharePoint group is a group of users which can be used to permission a site. Groups can be re-used around the site collection and can be used to permission, sites, lists, libraries, folders and items. 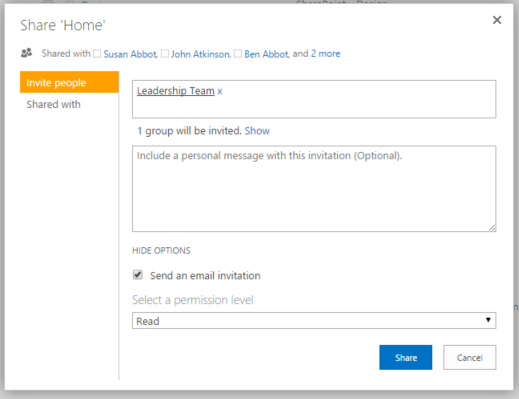 Using SharePoint groups allows the administrator to control access without having to edit individual permissions, only the SharePoint group membership requires editing rather than each permission level. 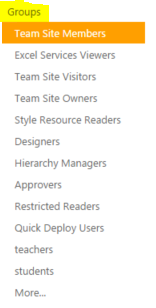 Select “Site settings” from the SharePoint menu. Select “People and Groups” from the “Users and Permissions” menu. Select “Groups” on the left side menu, this will show a list of all the groups on the site collection. Create a new group by selecting “New Group” from the “New” drop down menu. Enter a name and description for the new group. The Group owner has overall control of the group settings and members. This is usually either an administrator or someone you have delegated the running of the group to. You can decide to keep the membership of the group private to the users in the group or let everyone see the group membership. There is also an option to allow group members to edit the membership of a group. This is great for collaborative sites where members may wish to share with others without having to go to the group owner. It helps remove some of the burden from the group owner and can open up sharing and collaboration without admin intervention. Membership requests allow users who are not members of the group, the ability to request membership. This can be set to auto-accept which is useful for open groups or the requests can be sent to an email address for approval by the group owner (or members if this option was enabled earlier). Permission levels can be set when creating the group. Please note that setting permissions here will only apply to the site which you are currently on. It is advised that you create the group without any permissions and then go back into the sites to add relevant permissions to avoid any confusion. Click “Create” to finish setting up the group. Once the group has been created, you may notice that the only member is the group owner. 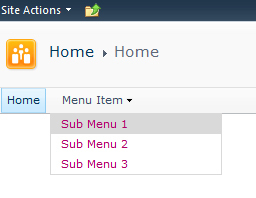 Additional users can be added by going to the “Add Users” option under the “New” menu. Enter the name(s) of the members(s) you wish you add to the group. Under advanced options, you will see that the default setting is to send an email to any users added to the group. This is optional and can be deselected. In addition to this, you can customise the personal message in the email invitation for these users. Click Share to add the users to the group. Once the group has been created, it can be used to permission subsites, lists, libraries, folders and even items. 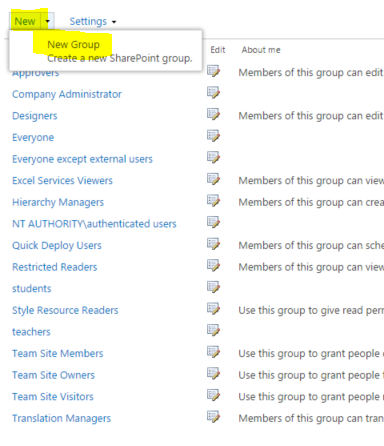 To give the group’s members permissions on a SharePoint site, first navigate to the SharePoint site itself. Select “Site Settings” from the menu. Select “Site permissions” from the “Users and Permissions” menu. Select “Grant Permissions” from the “Permissions” tab. 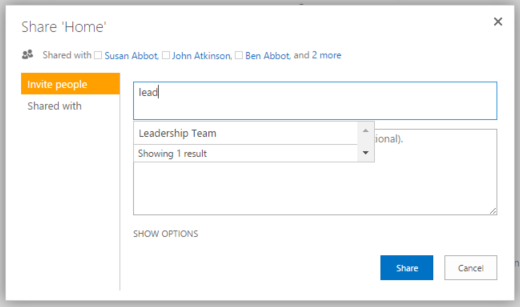 As you start to type in the name of the group, SharePoint will pick up the group name. Click “SHOW OPTIONS” to view the permission levels. Select a permission level from the drop down and decide whether you would like to send an email to the group. Contribute – Can add, edit and delete list items. User cannot create new apps or sites. Design – Users have contribute but in addition, they can also create and delete apps and subsites. Apply themes and designs. This entry was posted in Office 365, SharePoint 2013, SharePoint Designer, SharePoint News, SharePoint Online, SharePoint Online Permissions, Tony Phillips and tagged Active Directory, Cloud Design Box, Codnor, Derby, Derbyshire, DirSync, Group membership, Nottingham, Office 365, Office Online, Permissions, SharePoint, SharePoint 2010, SharePoint 2013, SharePoint Consultancy, SharePoint Design, SharePoint Groups, SharePoint Online, SharePoint Permissions, SharePoint Tony, Tony is here, Tony Phillips, tony phillips derby, Tony Phillips Hull, Tony Phillips SharePoint, UK on September 30, 2015 by Tony Phillips. I’m often asked to solve permission errors in SharePoint. It’s not hard to do with the tools available in SharePoint, you don’t even have to know much about AD especially if you use SharePoint groups. Permission directly against the user – not recommended as a lot of maintenance required when someone joins or leaves the organisation. Active Directory Security Groups – AD groups might already exist on your domain, these can be used but be aware that SharePoint 2013 caches the membership of these groups for around 2 hours and when using Office 365, DirSync will need to run to replicate these groups in the cloud. What can be permissioned in SharePoint? SharePoint permissions flow down the site from the root of the site collection unless otherwise changed. If permissions are changed at any level, any items below it will inherit the changed permissions. SharePoint has a very easy way to check permissions of an individual user, check out my video below on how to use it. This entry was posted in Education News, Office 365, SharePoint 2013, SharePoint Designer, SharePoint News, SharePoint Online, Tony Phillips and tagged Active Directory, Cloud Design Box, Codnor, Derby, Derbyshire, DirSync, Office 365, Office Online, Permissions, Security Groups, SharePoint, SharePoint 2010, SharePoint 2013, SharePoint Consultancy, SharePoint Design, SharePoint Online, SharePoint Permissions, Tony, Tony is here, Tony Phillips, tony phillips derby, Tony Phillips Hull, Tony Phillips SharePoint, UK on September 29, 2015 by Tony Phillips. I’ve just created a video guide on creating a simple content type and attaching it to a document library. If you decide to use a content type, you will also get the benefits of being able to apply a workflow to the content type (rather than to each list individually). If you are thinking of developing search, content types can be a great way to filter and search for specific types of data in a list. You can also use multiple content types in a list (each with different columns), for example an invoice and a receipt. This entry was posted in Content Types, Office 365, SharePoint 2013, SharePoint News, SharePoint Online, Tony Phillips, Workflows and tagged Cloud Design Box, Codnor, Content Types, Derby, Derbyshire, Office 365, Office Online, SharePoint, SharePoint 2010, SharePoint 2013, SharePoint Consultancy, SharePoint Design, SharePoint Online, SharePoint Tony, Tony, Tony is here, Tony Phillips, tony phillips derby, Tony Phillips Hull, Tony Phillips SharePoint, UK on September 28, 2015 by Tony Phillips. XSL (EXtensible Stylesheet Language) styles the XML output of SharePoint 2010 lists. It allows easy customisation without any server side code. 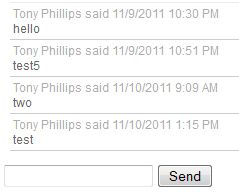 For example, this is a standard Tasks Web Part. After having an XSL stylesheet applied, it transforms the way the list is rendered (see below). In the example below, the template is called for each item depending what the “Status” field contains. If the status is “In Progress”, “Not Started” or “Waiting on someone else”, the template named “row” is called. Each item is sorted by the Creation date. In the row template, the image src attribute (location of traffic light colour image) is selected using an if statement on the status field. For each status a different image is displayed. The complete code below with some CSS applied generates the customised Tasks list view. Using XSL and CSS provides a large opportunity to customise SharePoint frontend design of lists without any custom solutions or server side code. This technology will become more important as users move to hosted SharePoint solutions like Office 365 with limited access to server side customisation. It also allows for easier upgrades to future versions of SharePoint. In a previous post I wrote about creating a HTML5 site which also worked as an iPhone Web App. If the web app needs to also support iPad integration, there are a few more lines needed in the HTML as well as a couple more loading images. The code above specifies different startup images for different devices. 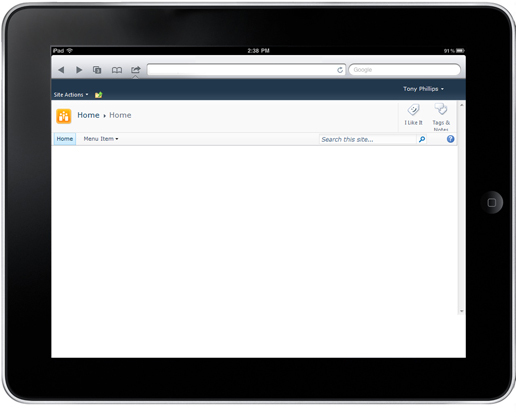 The iPad can load web apps either when placed horizontally or vertically. This means it requires two loading images. In my last post, I showed how to create an iPhone web app using HTML5. 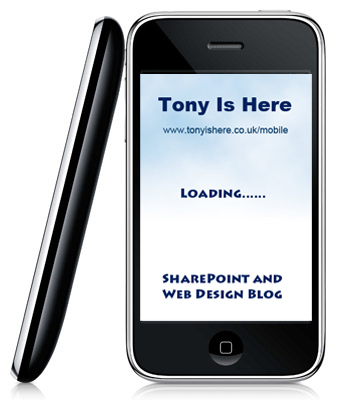 Recently I have been working on constructing a HTML5 SharePoint Master Page that also works as an iPhone web app. 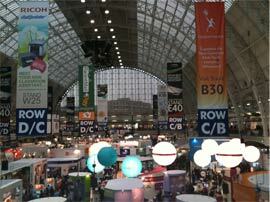 I then removed as many tags as possible without breaking the publishing Master Page. Changed the doc type, added the meta and link tags (see previous post). 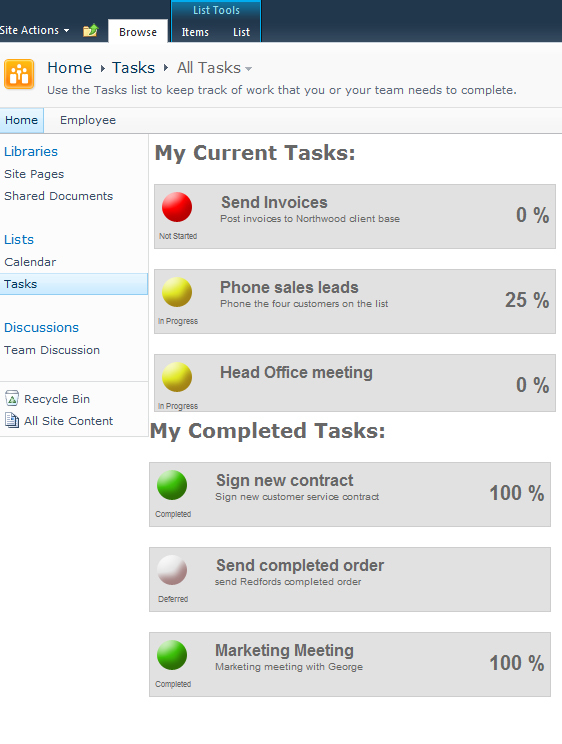 This allowed me to create a HTML5 compliant SharePoint Master page which also worked as an iPhone web app. Further customisation is needed to convert the TMG/ISA login form to a mobile friendly smart phone page if you are using an authenticated SharePoint 2010 site. You may find that the OOTB V4 master page has the Meta tag: <meta http-equiv=”X-UA-Compatible” content=”IE=8″/>. This renders the page in IE8 mode even when using IE9. Web Designers may realise that this means CSS3 rounded corners are not available (http://www.css3.info/preview/rounded-border/). Unfortunately removing this tag breaks SharePoint’s ability to drag and drop web parts between web part zones and a few other quirky things. Rounded corners in CSS3 use anti-aliasing to give a clean smooth effect. It also renders very fast. Using jQuery.corner.js sometimes slows the page down and causes a slight flicker, the rendering is not as sharp as the CSS3. A bit disappointed with the rendering in IE9 but ensures that all browsers get the best experience possible. The problem is not that CSS3 doesn’t work with IE 9 (it does very well!) but SharePoint 2010 does not work with IE9 (e.g. dragging web parts, people picker, etc…) so Microsoft force with default Master Page into IE8 mode using the meta tag. Hopefully there is an update to IE9 soon (maybe automatic??) 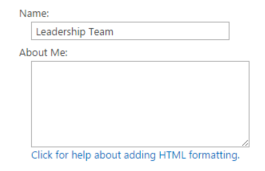 to fix SharePoint compatibility and then we can all happily use CSS rounded corners!! Using XSL can completely change the way that any standard list view is displayed. There is a great video from Laura Rogers demonstrating what can be done with the XSLT List View in SharePoint Designer here. You can also build your own XSL sheets and use them in the style library by linking them in the web part properties. Inside the web part’s AJAX settings we can set the auto refresh so the list displays the new item (again without refreshing the page). Building solutions like this can create complete customisable solutions using only custom lists in a modern integrated (no refresh) style.